Can I run PHP on my AmeriCommerce Store? Ccommenting out items is useful when you don't want to completely delete something. Using HTML comments will let you add or remove functionality. The benefit of using comments is that you can uncomment the HTML to bring back the feature. 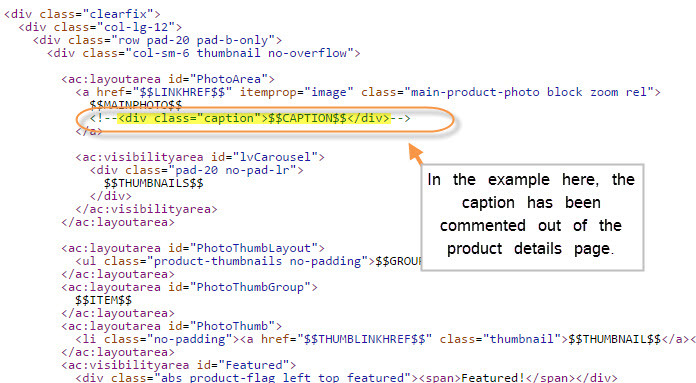 For example, in the Product Details page, the $$CAPTION$$ merge code is commented out. This hides it on the page, but you can uncomment it use the feature on the site. Can't find what you're looking for, or are the settings enabling it to show and it isn't visible? One thing to look out for is on the HTML editor in the theme, you can find out if this item has been commented out or not. 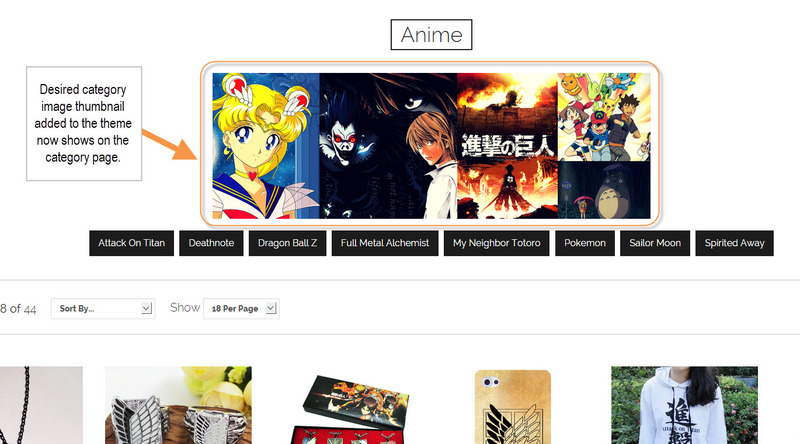 For example, the category thumbnails in our theme aren't showing. Then Pages > Category > HTML Editor. From here, we can see that the thumbnails are not showing because they have been commented out. We've taken out the <!-- and --> tags and now it shows!